July 18, 2015  Uber passengers are accustomed to rating drivers. But with Uber feedback, judgment goes both ways. A couple of simple steps can show you your Uber passenger rating — if you really want to find out. 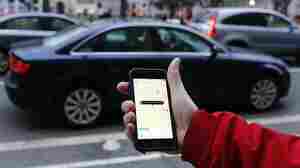 June 17, 2015  An Uber driver in San Francisco will be paid more than $4,000 in expenses. April 27, 2015  The number of people using these services is growing fast. Find out what happens when a writer rents out his Mini Cooper and an Airbnb tenant learns something terrible has happened to his host. 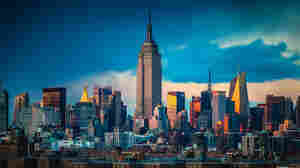 October 16, 2014  The state's attorney general says nearly three-quarters of Airbnb's listings in New York City are illegal. 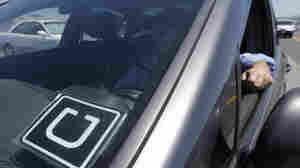 The company says local laws should be changed to accommodate the sharing economy. June 27, 2014  Europeans throw away about 90 million tons of food each year. 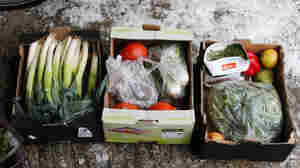 A new German website aims to ratchet that number down a bit by connecting people with leftovers to spare with people who could use them. November 14, 2013  At a few U.S. airports, travelers have a new option besides paying for long-term parking or finding a ride. A service named FlightCar allows them to leave their car in the company's lot — and rent it out while they're away. November 11, 2013  From renting lightly used gowns to assembling Ikea furniture, things or tasks can now easily be rented or outsourced. 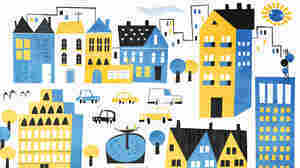 Fast Company writer Danielle Sacks discusses the implications of the sharing economy and where it goes from here. 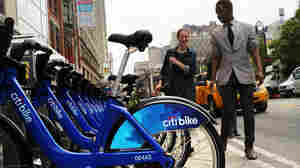 November 11, 2013  Why buy a bike, car or vacation home when you can share them? The shift from ownership to access is powering the sharing economy. What do you want to learn about the world of collaborative consumption?